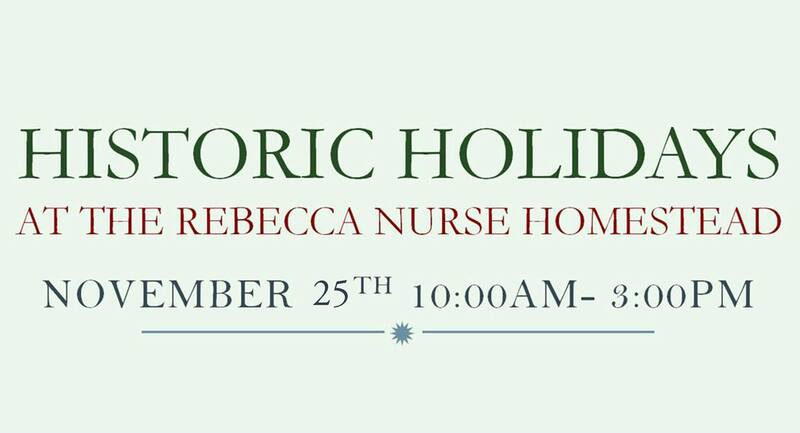 Please join us for our annual Historic Holidays event. This year’s theme is “Christmas Through The Ages”. Take a break from Christmas shopping and visit us for a good old-fashioned holiday celebration with reenactors from different time periods. Have a cup of mulled cider while you stroll the property listening to holiday music from across the centuries and warming up by the roaring fire. For a bit of fun, visit the dress up booth or make a pomander at our craft table. Admission is $7 for Adults, $5 for Seniors, $3 for Children (6-16) and Under 6 are FREE! 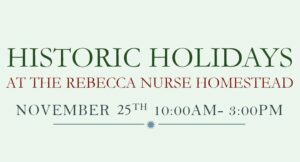 Members of the Rebecca Nurse Homestead Preservation Society get in for free as well.